It’s term break and with that comes the pressure of finding fun and creative activities for our children/students. 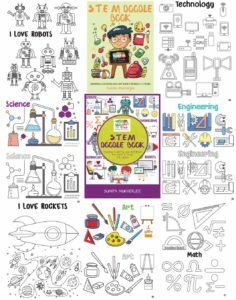 This can get very stressful for parents and teachers alike so I decided to put together a STEM Doodle Book: Drawing, Coloring and Art Book for all of us! I mean there are many other activities that your children can do over the holidays, however, a doodle book has so many great benefits plus its super friendly on the pocket! So it’s a win-win scenario if you ask me! So WHY is doodling important? Most people tend to associate doodling with a lack of attention and concentration and it doesn’t always have the best connotations however research has started showing that doodling may be just what you need once in a while. Psychologist Jackie Andrade did a study in 2009 where he asked 40 people to listen to a boring voice mail message over and over again. Half of the group were asked to doodle and color in shapes whilst the other half did not. The group was then asked to recall what the message said, surprisingly those who doodled recalled 29% more information than those who did not doodle. Doodling has also been associated with stress relief and actually improving one’s focus. Continuously paying attention to something causes pressure on the brain so having an outlet where you can “rest” allows you to refuel for the next focus session. 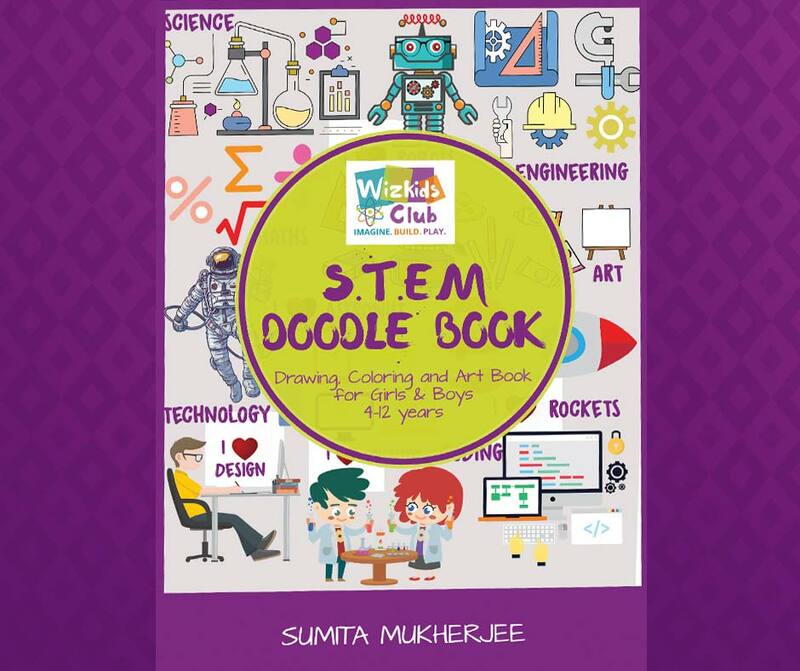 So I decided to create a STEM Doodle Book that mergers doodling with STEM education so that our children can experience two beneficial skills at the same time! What do you think? What to get yourself a copy NOW and let the doodling begin? Why is STEM Education such a big deal? STEM careers are where the job market is heading. In fact, it was predicted that by 2018, 8.65 million STEM jobs will exist but there is a great shortage of STEM empowered workers. Fewer children are interested in studying STEM subjects and we need to play a role in reviving the excitement around STEM education because there will be jobs but not enough people to fill the jobs. That’s why I saw it necessary to fuel some inspiration and get started with a The STEM Doodle Book: Drawing, Coloring and Art Book this season! The truth is there are SO MANY benefits to introducing your child to STEM education. STEM encourages innovation and creativity. It helps one stay abreast with the changes in technology that affect everyone and promotes equality in education, with more and more women taking on high-paying STEM-related careers. It acts as a great confidence booster because you also practice your problem-solving skills. When it comes to taking SATs, kids with STEM education tend to have higher scores and tend to take fewer remediation courses when they start college. People in STEM careers tend to earn a lot more money than other fields, in fact, STEM jobs are growing 17% faster than other fields. Do you now see why it’s such a big deal? A child with a STEM education is a child who has options when they get older. The most important thing is to give your child and students options so that they can choose who they want to me. I mean, even people in the fashion industry and writers benefit greatly from a STEM background! So in order to get the ball rolling, be sure to get your very own copy of The STEM Doodle Book: Drawing, Coloring and Art Book. Doodling is the gift that keeps giving. It also helps with children’s brain development and allows kids to express their creativity. It will also help the children to bond with their emotions and thus become better, more resourceful problem solvers. The more children play with their imaginations the more they are willing to try out new experiences. Who will this Awesome book BENEFIT? ANYONE and EVERYONE! Even adults experience the great benefits of doodling. Ask Diane, the President, Managing Director & Lead Facilitator at Discovery Doodles where she does doodling workshops for children and adults. She further unpacks The importance of doodling. 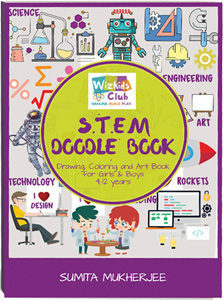 The STEM Doodle Book: Drawing, Coloring and Art Book works perfectly for kids aged 4-12 years. 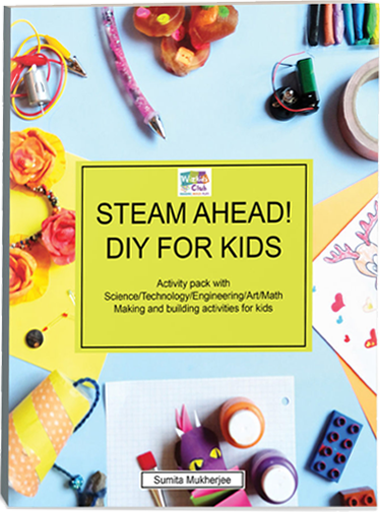 This book is PERFECT for teachers and parents, it allows you to give your children/students ready-made STEM-related doodles that they can spend hours coloring in! This a great way to spend term-break! Let’s give out children the gift of OPTIONS! Get your COPY of the book Now and let the doodling begin! With the world learning towards needing a larger STEM Educated workforce, take the time to set up your child’s future! Ultimately you play the biggest role in their life and they look to you for guidance, so get them curious about STEM related topics and watch their future shine bright! 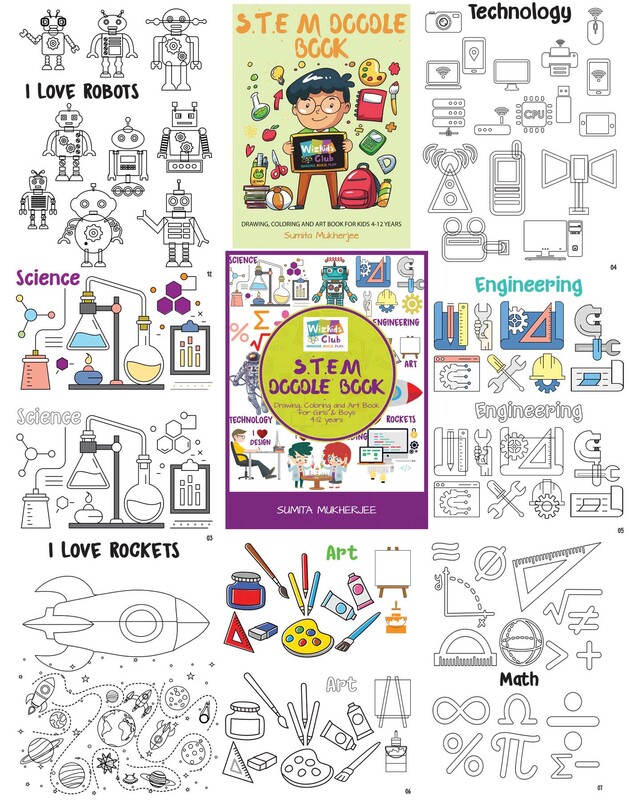 Let’s not waste any more time, click HERE for your children and students to receive their own copy of the exciting STEM DOODLE BOOK now! 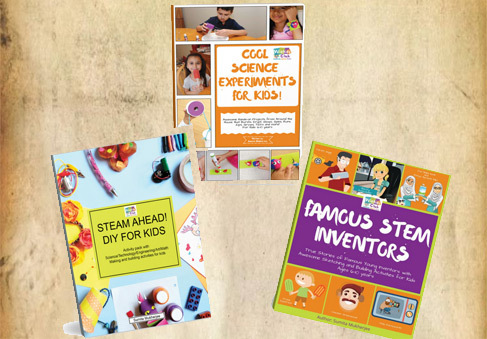 Expose your child to learning, fun activities and a whole new world of innovation! Don’t let your children and students miss out on this GREAT learning opportunity! Start preparing them for the future now!